You may want to replace your 3D printer heater block if it has become corroded, dirty, worn out or caked with plastic. 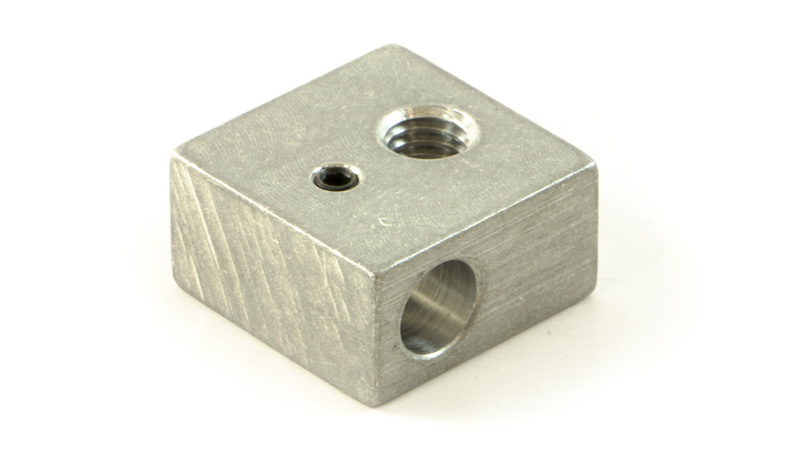 Machined from solid aluminum, this heater block is for the MakerBot Replicator 2, but suitable for many other 3D printers. 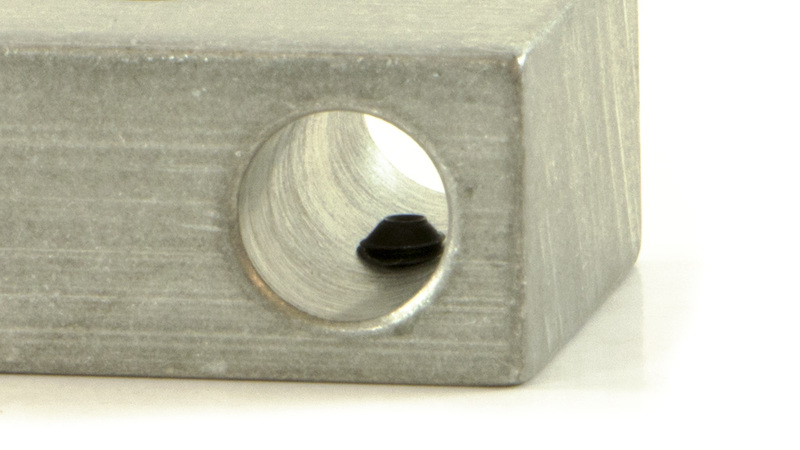 The inner thermal barrier tube hole is threaded at M6 (6 millimeters). The thermocouple/thermistor mounting hole is threaded at M3 (3 millimeters). The hole for the heater cartridge is 6 millimeter in diameter. A set screw with M3 thread is also included over the heater cartridge mount to assure your hot end assembly stays in place (a 5 millimeter hex key is needed for the set screw). Itself, this MakerBot Replicator 2 aluminum heater block is 19 millimeters x 19 millimeters x 9.5 millimeters. 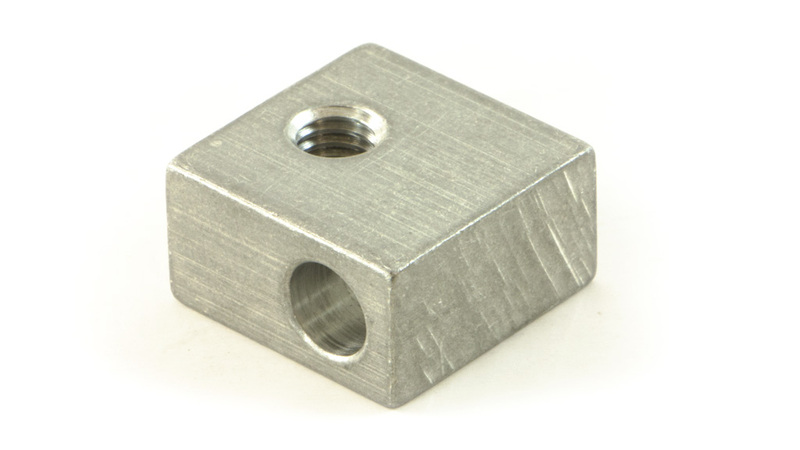 Machined and sold in the USA, this part can also be purchased from Fargo 3D Printing as part of the Heater Block Assembly Kit which includes nozzle, barrier tube, and ceramic insulation tape.